As a member of a recognized media outlet, we are eager to offer you access to our Birkie week events so you can best chronicle the Slumberland American Birkebeiner experience – from the Expo and exciting events on Thursday, to the Kortelopet & Prince Haakon on Friday, to Saturday’s International race action, to Sunday’s On-Snow Demo Day – from start to finish, there is no greater show on snow! Eligible media members must complete a media credentials application. Only media members whose primary purpose is to cover Birkie week events as a working news media outlet will be considered for media credentials. In the weeks leading up to the Birkie, the approved media member may receive emails containing additional event information. Media credentials are not required for Thursday’s events, however, credentials are required for events on Friday and Saturday. Media Credentials allow access to the general start and finish areas, as well convenient parking options. 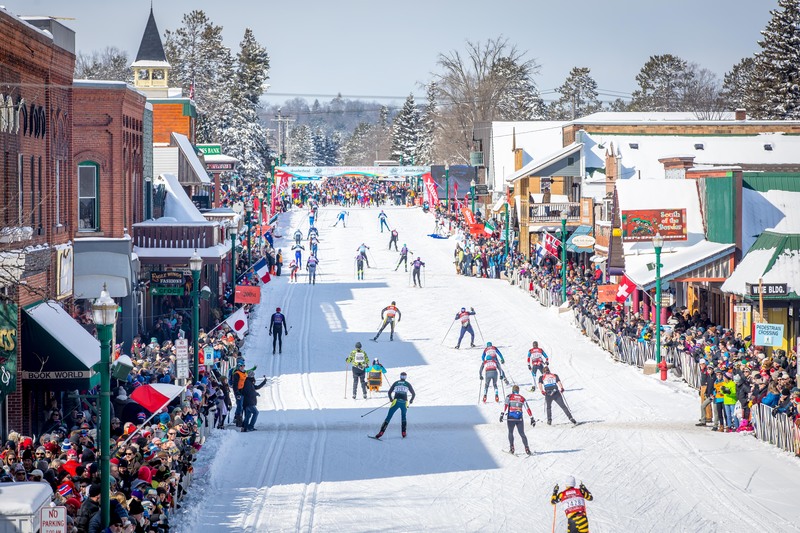 Along with your media credentials and based on your coverage plans, you may receive a parking pass for the American Birkebeiner and Kortelopet start areas. There is not parking available at the start of the Prince Haakon race. Please read the following before completing your Media Credential application. Every media member must register individually! Each attending member of the media MUST REGISTER separately in order to secure unique media credentials. You cannot register as a group. However, media members from the same organization will have their shared parking passes and credentials mailed in one packet (if applications are received by 2.4.19). What about along the Trail? Media passes are not required for unrestricted access points along the race course. What about my satellite truck? If your organization plans to use a TV production/satellite truck for your Birkie event coverage, please email media@birkie.com. We will be in contact with instructions for safe and legal truck placement prior to the event. All requests are required by February 15, 2019. Where can’t I go? For the safety of participants and volunteers, absolutely no interviews are allowed in the finish line area. Media members are not allowed within the fenced-off finish line area on Hayward’s Main Street, on the snow on the course at any time, nor on the International Bridge. However, a media platform will adjoin the finish line area and provide opportunity for photographers and videographers to gather photos and video. Skier safety is our primary concern and the efficient management of the finisher zone is critical to an event of this size – thank you for your cooperation. How can I interview the winners? All post-race interviews are to be conducted at the official press conference at 12:00 pm (estimated based on finish times) on Saturday, 2.23.19, in the St. Joseph’s Parish Center located directly across the street from St. Joseph’s Catholic Church. The St. Joseph’s Parish Center is located between 4th & 5th Streets on Dakota Avenue – please watch for signs. Absolutely no interviews are allowed in the finish line area. Volunteer escorts will bring the elite skiers into the press conference immediately following the podium awards ceremony (Champion’s Stage, Celebration Plaza). Media credentials are required to access the press conference. What credentials will I receive & how do I use them? Your Birkie Media Credentials and loaned Birkie media vest are required to be worn by all attending media at all times. The Birkie media vest must be returned to the Birkie after the race! Thank you for your compliance and support of the ABSF! How do I secure race results? Race results for the Prince Haakon, Kortelopet, and American Birkebeiner races will be posted on our website as soon as possible on race day. We love to hear what you have to say about the Birkie! Please send a copy of your published article or email a link to an online publication to media@birkie.com following the event. 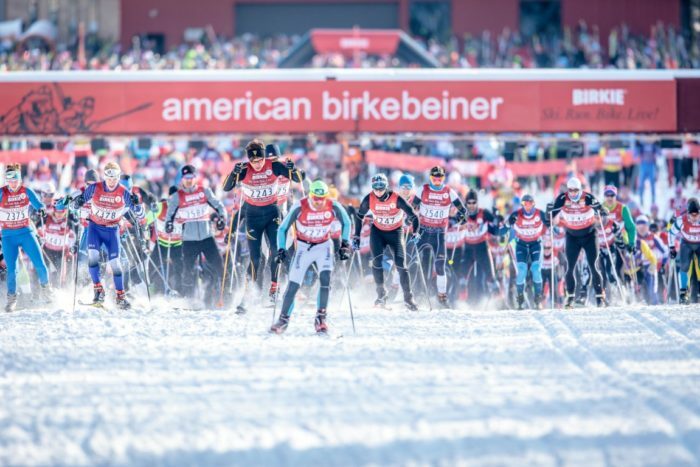 Please use the hashtag #Birkie2019 or #BirkieFever in your social media posts using: American Birkebeiner (Facebook), @americanbirkebeiner (Instagram) and @birkie (Twitter). We appreciate your interest in the Slumberland American Birkebeiner! The Birkie Media Center is the place you can call home on Friday, 2.22.19, and Saturday, 2.23.19. If you need to take a break, warm up, charge your equipment, grab a cup of coffee, a cookie, or simply need a quiet work space. The Birkie Media Center will be located at the Veterans Center, 10534 Main Street, at the northeast corner of the American Birkebeiner International Bridge in Hayward. WiFi will be available for media use. Friday, February 22: from 10:00 a.m. to 3:00 p.m.
Saturday, February 23: from 7:00 a.m. to 4:00 p.m.
On Thursday, please visit one of our local coffee shops for a cozy seat, a warm cup of coffee, and WiFi. Hayward Coffee Company is located on Main Street, Backroads Coffee is on Dakota Avenue (one block off of Main Street), and Caribou Coffee is located in Marketplace Foods at the East end of Main Street. 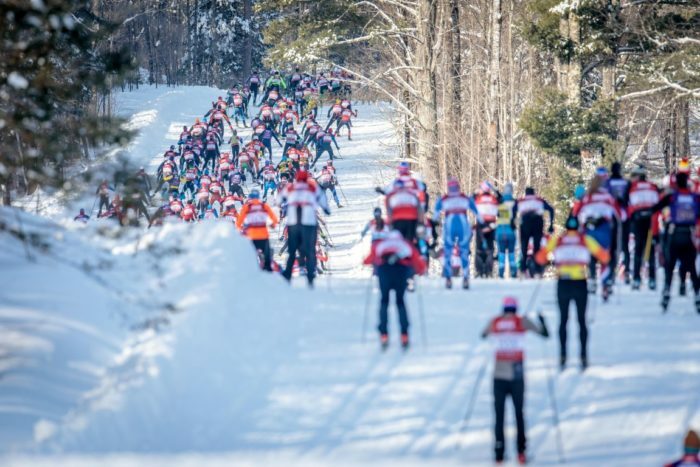 Read the latest Birkie News! 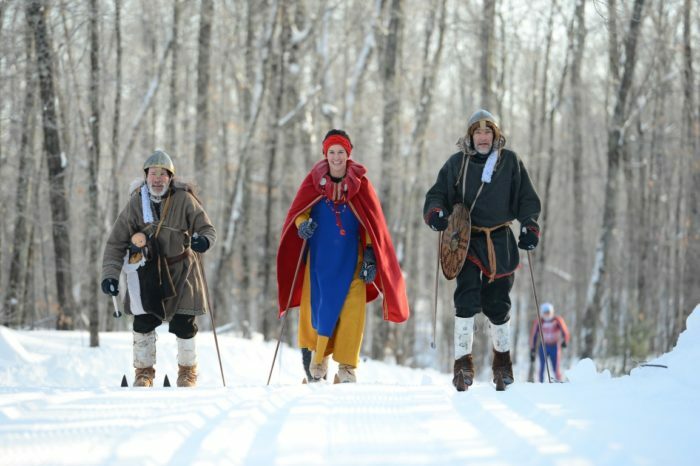 @BirchScroll is the year-round ezine of the American Birkebeiner Ski Foundation and includes all things Birkie!